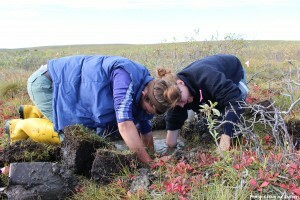 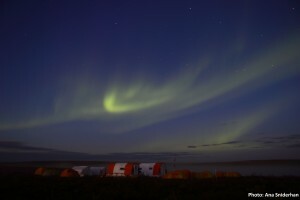 The third arctic expedition to Trail Valley, located about 50 km north of Inuvik, NWT, Canada, concludes the field work within the PermaSAR project. 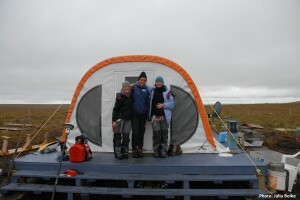 Sabrina Marx, Katharina Anders (both: LiDAR Research Group, Heidelberg University) and Julia Boike (Alfred Wegener Institute, Potsdam) stayed a week in the research camp. We were not only able to acquire various kinds of current data, but also to gain valuable insights into connected research work by the teams of Phil Marsh, Jennifer Baltzer (both: Wilfrid Laurier University) and Aaron Berg (University of Guelph). 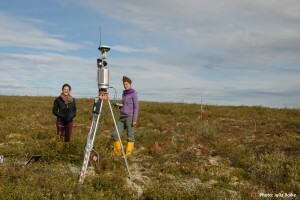 The in-situ data capturing by LiDAR and GNSS was repeated for the study sites of the previous Arctic expeditions. These multi-temporal datasets serve for the development of a method for detecting vertical movements of the topography by means of differential interferometry (D-InSAR) and support comprehensive analyses of permafrost characteristics of this region. 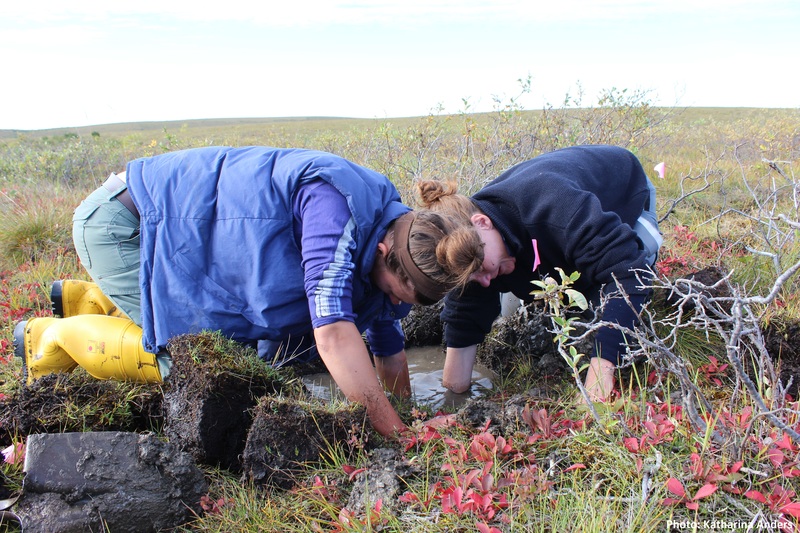 Data of the subsidence and soil temperature stations was successfully gathered – and the data loggers were equipped with renewed batteries for another period of hourly capturing subsurface temperature information. 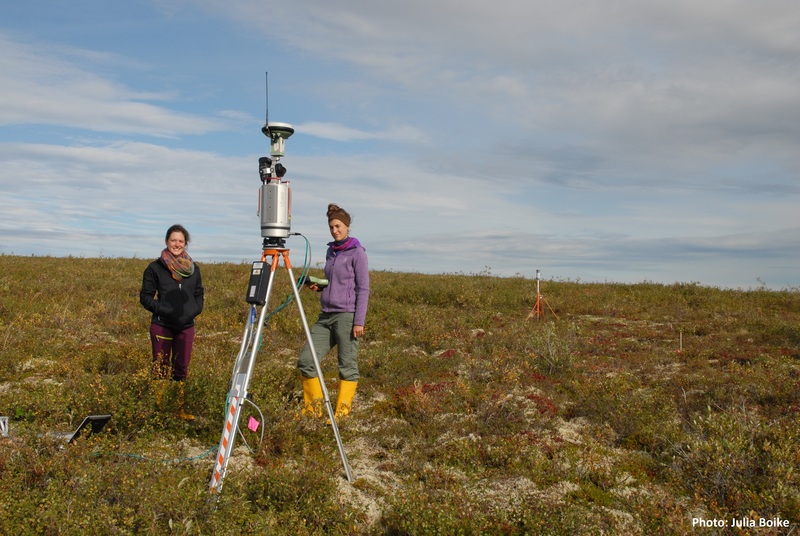 With the installation of three corner reflectors, our research based on TerraSAR-X/TanDEM-X data for monitoring permafrost-related subsidence processes enters the next round!